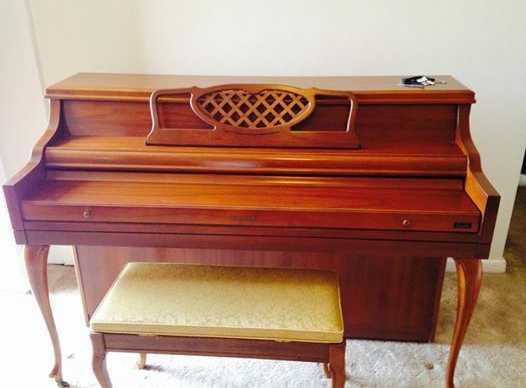 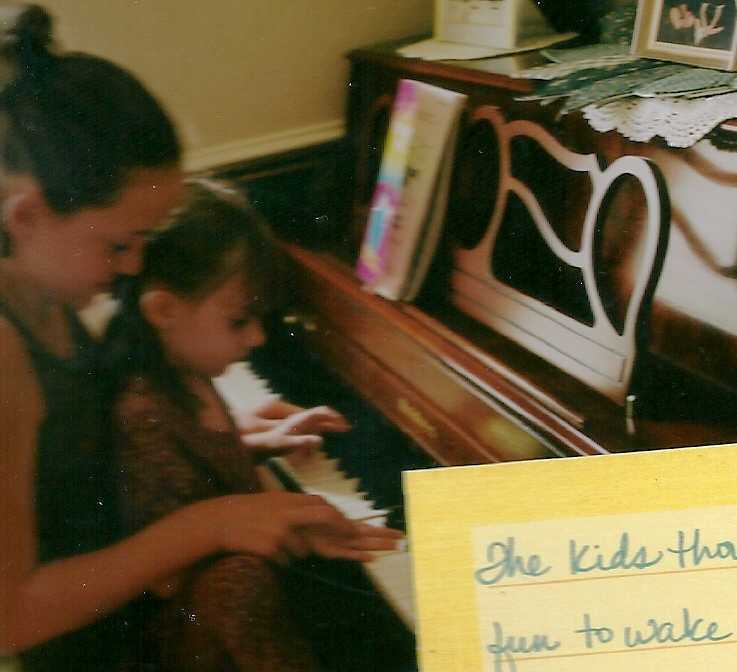 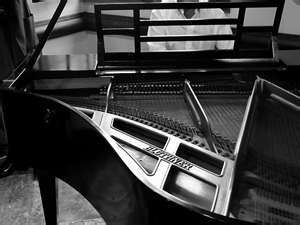 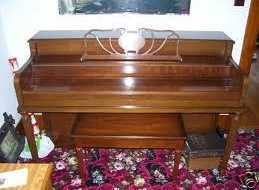 a Grand Piano or other piano or organ when lid is closed ..
missing or broken in moving the piano ?? 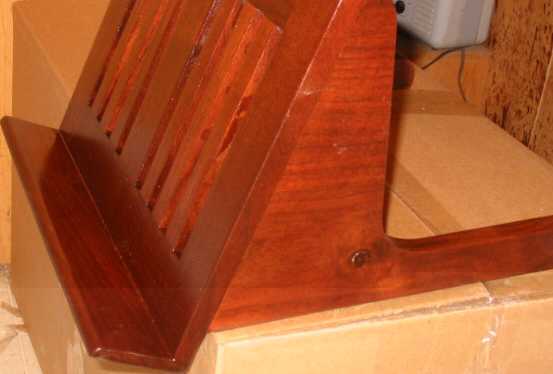 to me to use as a pattern so I can match the design and stain. 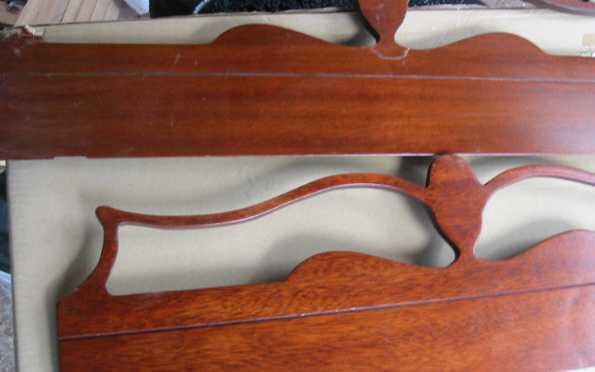 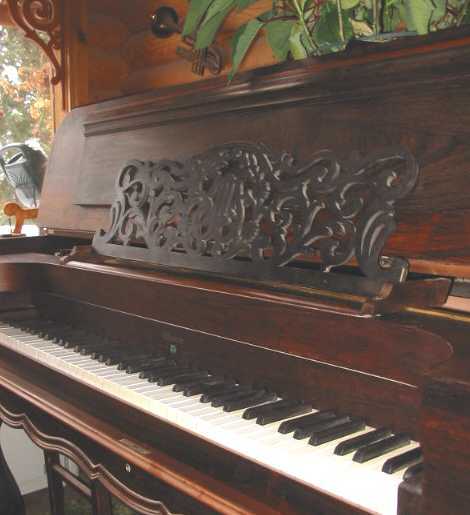 Steinway beautiful hand carved rack..
that will match your piano as close to the original one so it keeps its value ..
that hand makes racks from scratch to match your old one..
You can email me a picture of the rack and I can give you a price quote ..
under your piano name and model.. 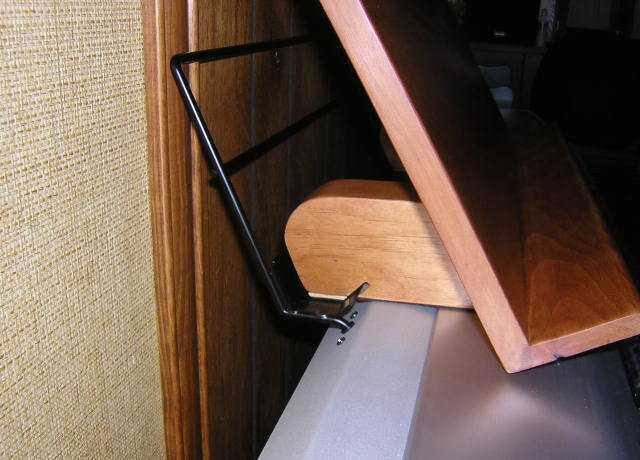 Broken Rack In shipping or missing one ?? 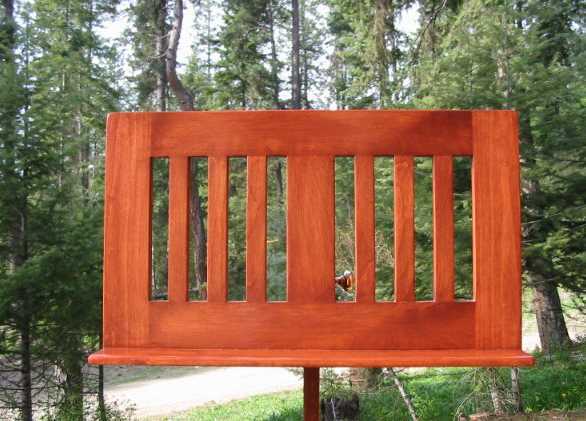 Matched the color pretty close I would say !! 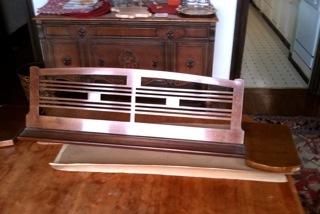 have to figure out how to attach it once it gets to you !! 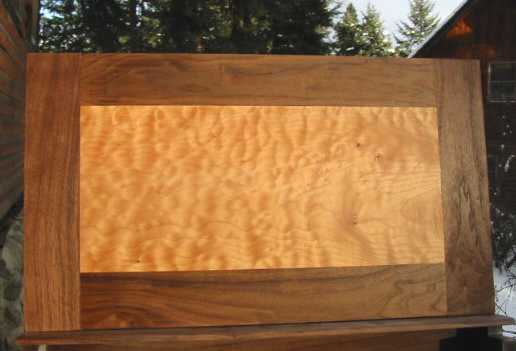 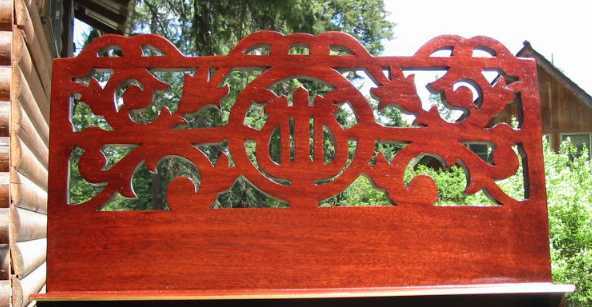 and I had drew it and cut it out on the scroll saw below.. 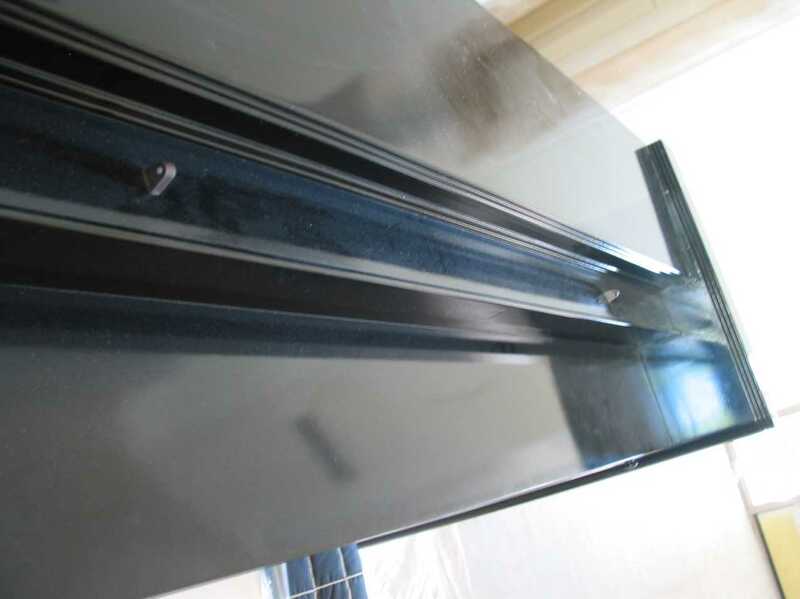 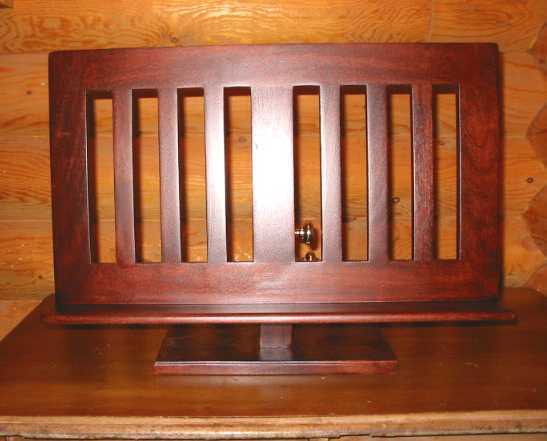 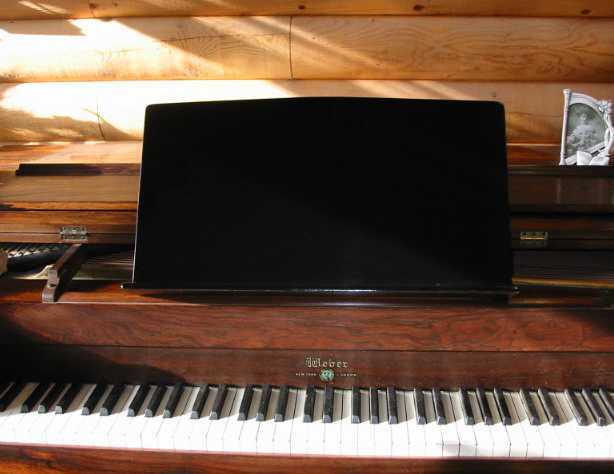 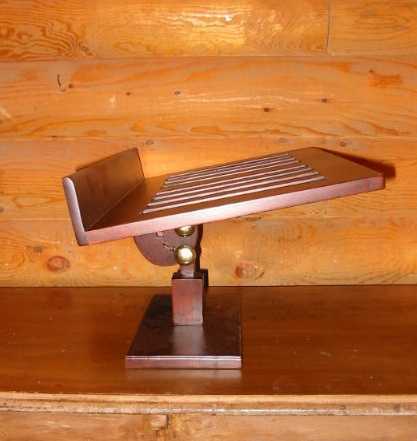 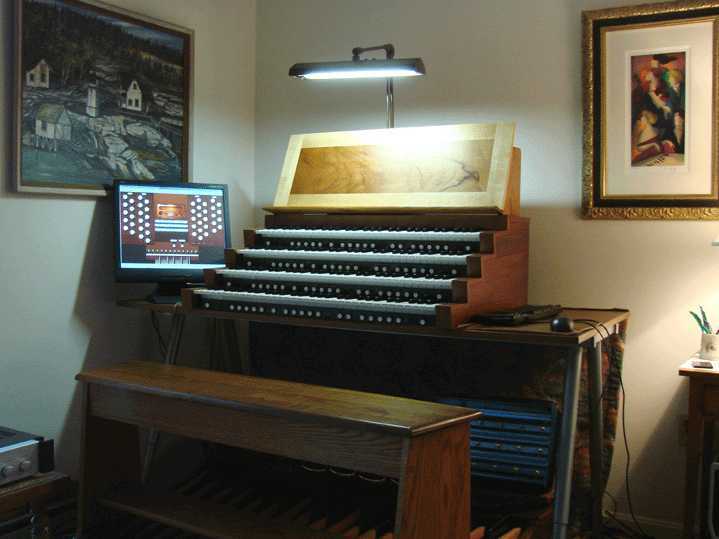 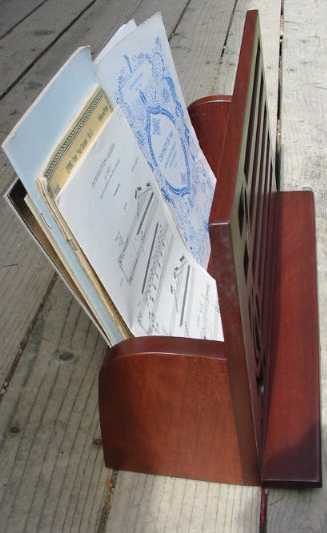 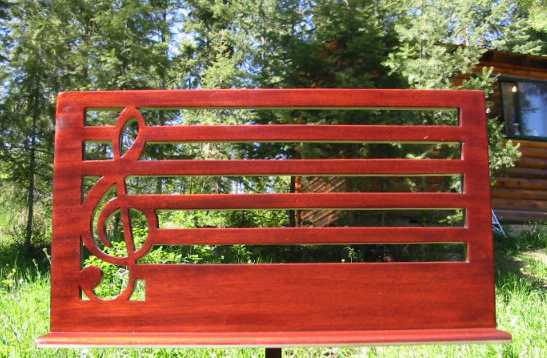 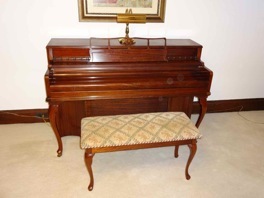 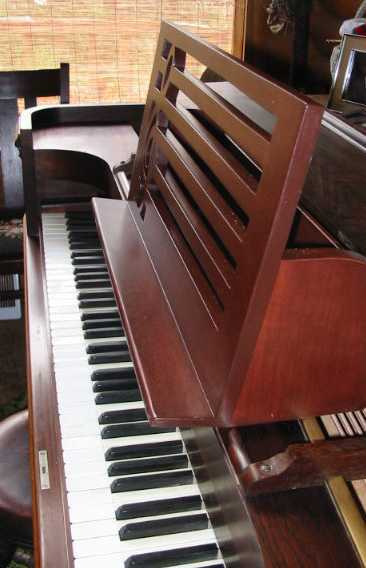 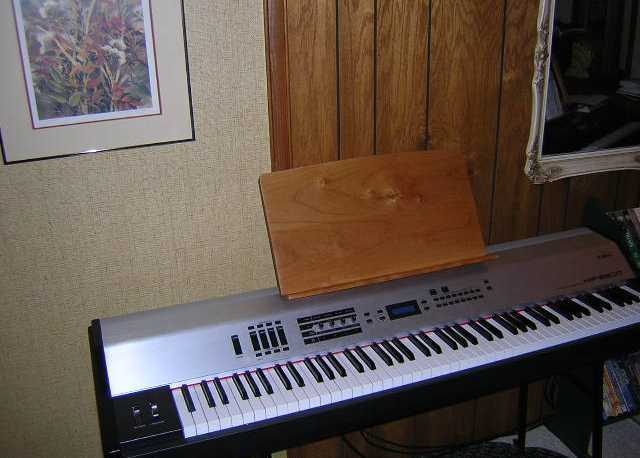 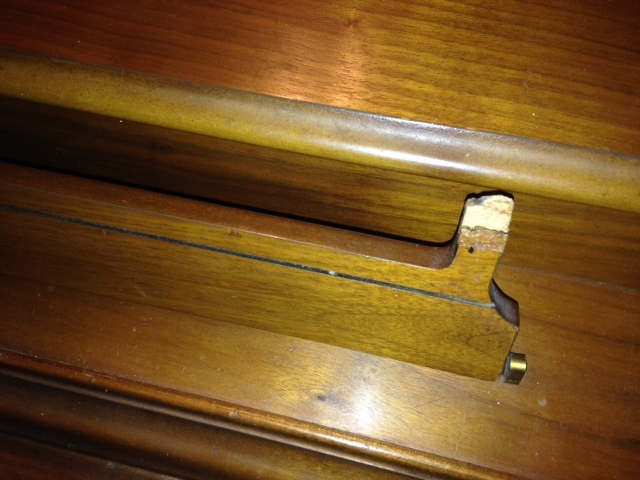 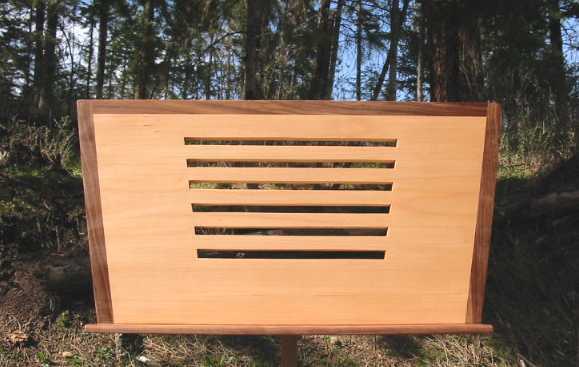 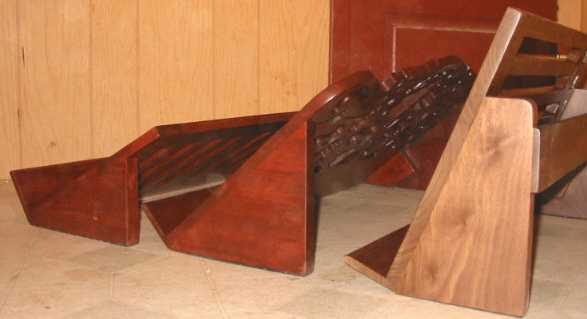 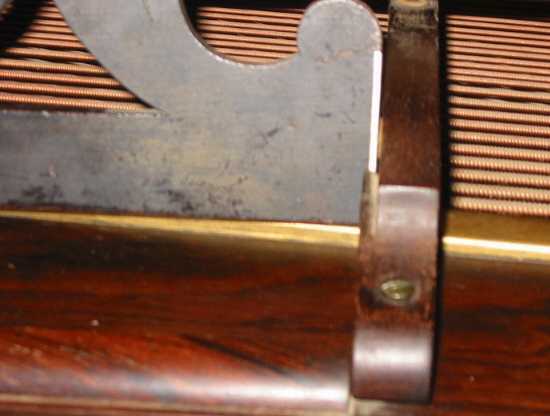 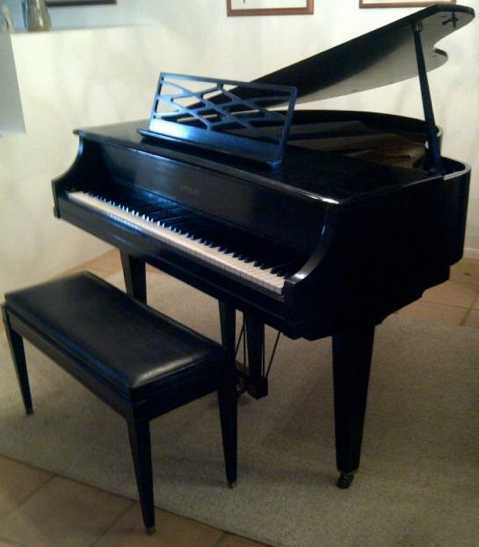 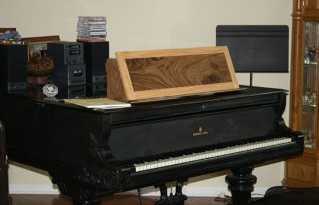 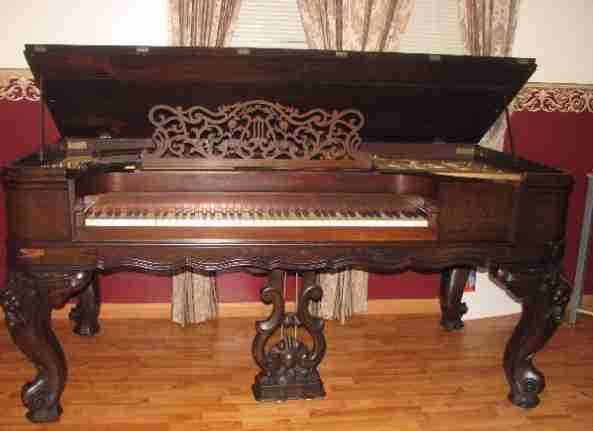 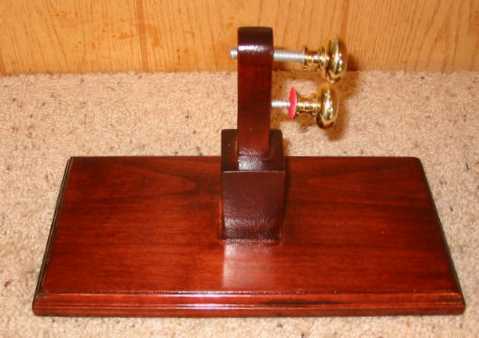 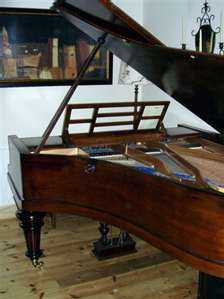 I usually get about $ 155 for something like this ..
drilled so that screws or bolts can be inserted into the piano.. 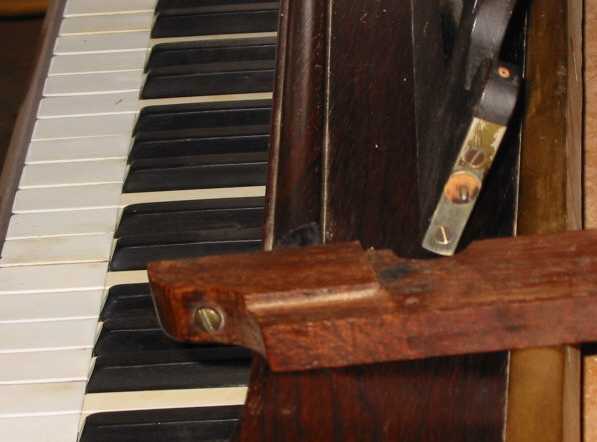 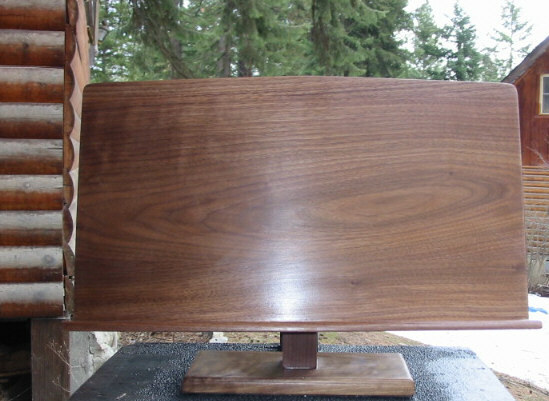 This was from a old Square Grand Piano ..
on top of the piano so you don't have to leave the case open..
You need one of my desk stands below when it gets this bad !! 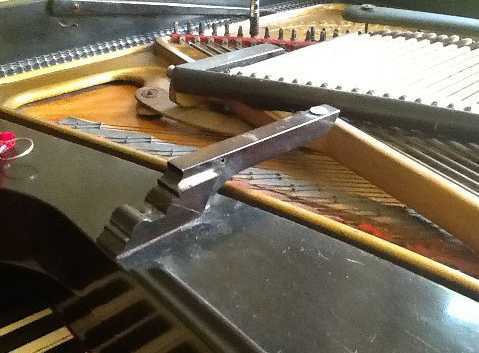 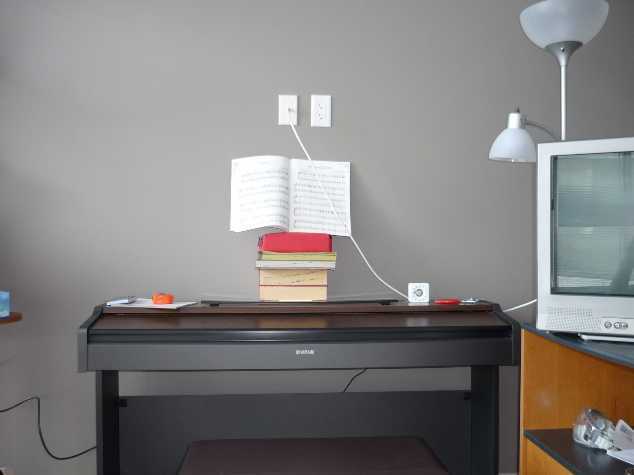 when you don't want to have the piano opened all the time. 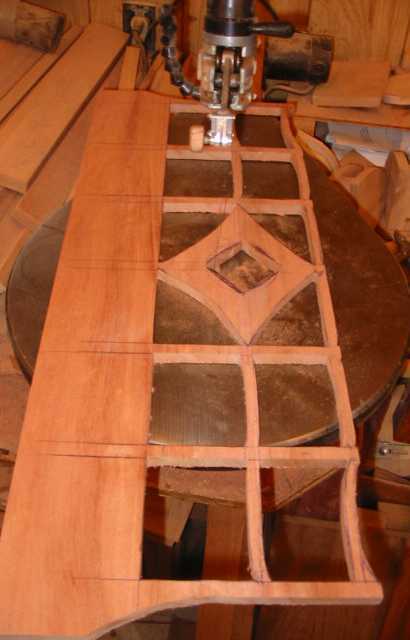 Column stand frame pictured below. 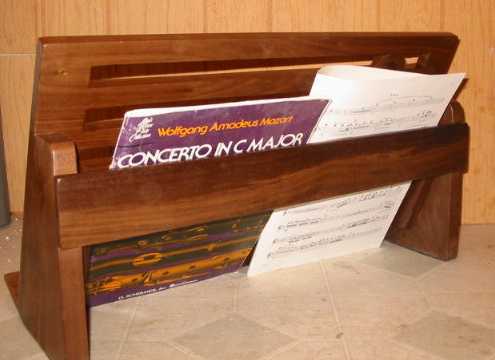 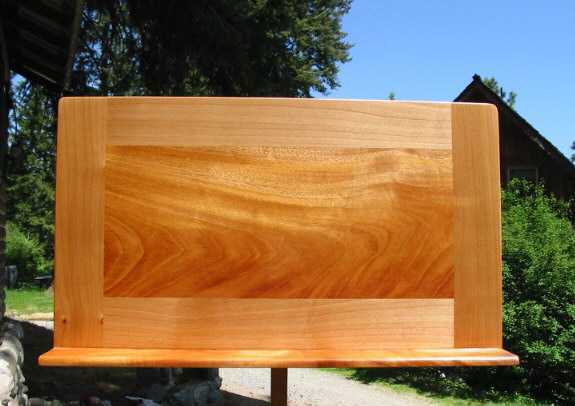 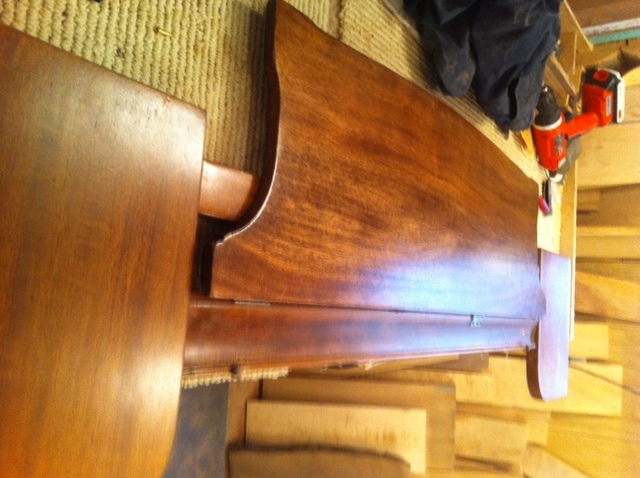 to fit your organ frame rack..
but Mister Standman can make the frame larger like say 15" x 25"
just ask..... 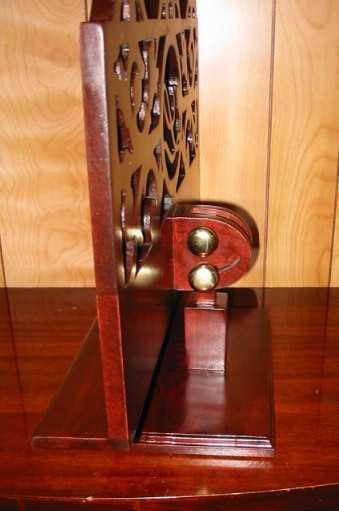 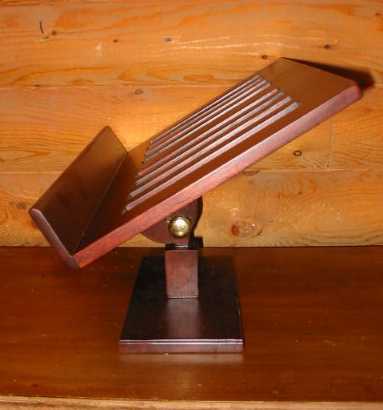 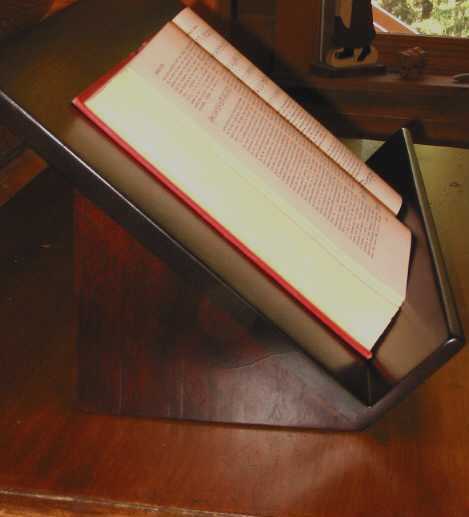 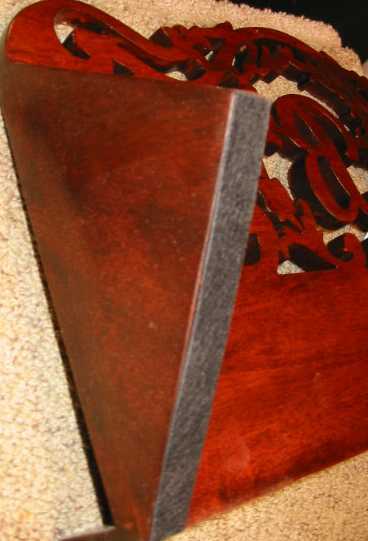 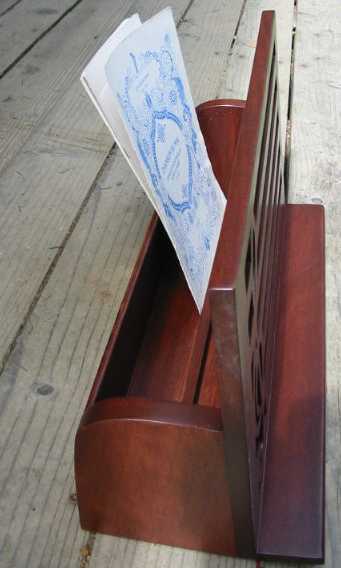 The music/book stand lip where the books rests is 2 1/4 "
but can also be made larger for bigger books up to 3 3/4 ". 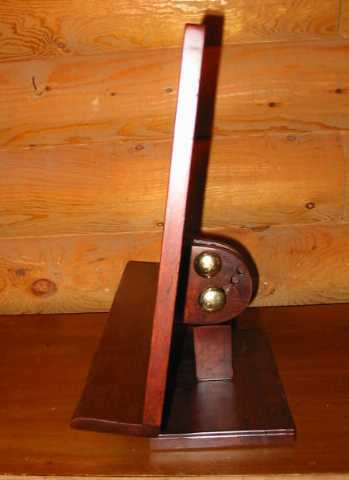 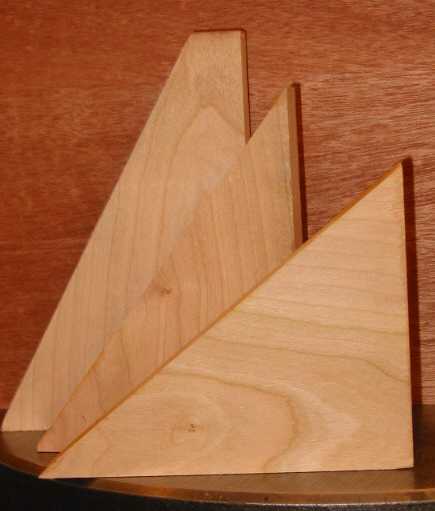 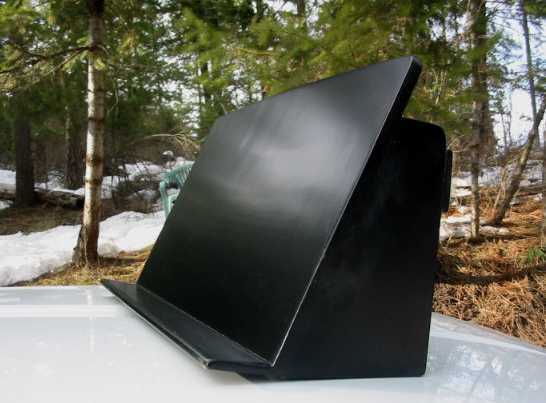 The stationary fixed stand is $ 150.00 for the plain solid back design. 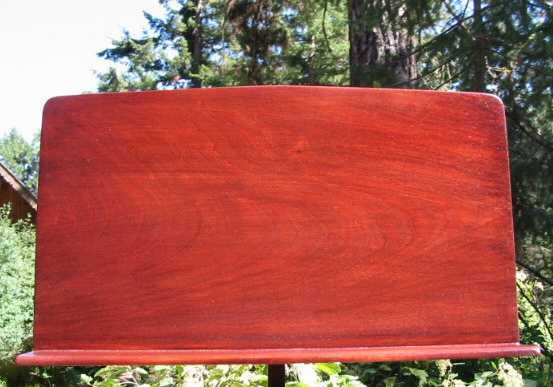 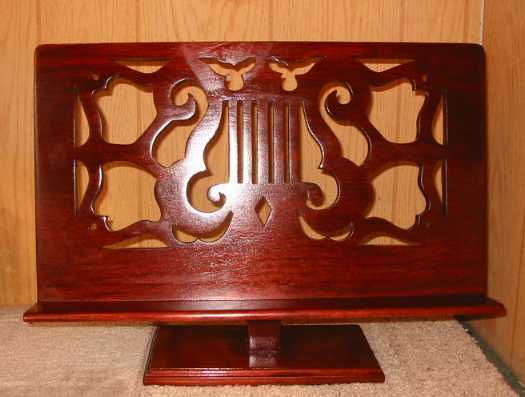 Its $ 195.00 if you want a fancy lyre pattern or one of the other designs. 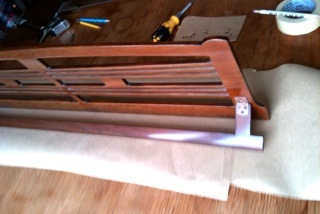 The frame sits about 2 1/2 inches from the base which is 14 " x 7 ". 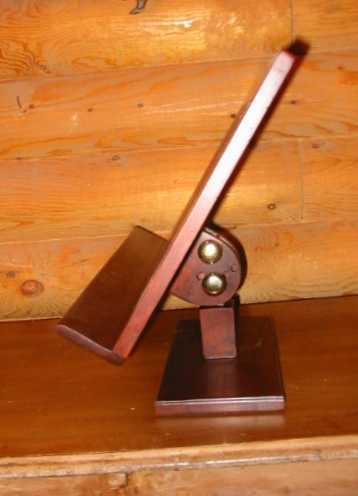 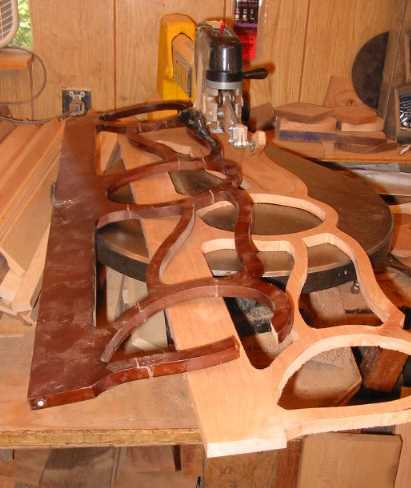 to 32 " length is the Victorian Lyre design below. 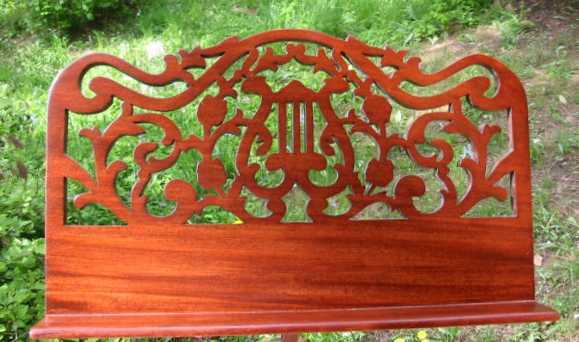 I can't cut anything longer than 35 " on my scroll saw.. sorry..